This BOD section should be used for new construction projects to guide Architects, Engineers, and Development staff toward efficient domestic hot water solutions. Engineers shall provide a high-level evaluation for the installation of new heat pump water heaters (either split systems or a packaged systems). 2. Option 2: boiler(s) provides heat for DHW only (Independent system): if a dedicated condensing, low-mass (short recovery time for reheating), direct vent boiler is provided for DHW heating, an indirect, storage-type water heater may be used. The indirect water heater tank should be constructed of 316L stainless steel (or better), with stainless steel or copper-nickel heat exchanger, rated thermal loss of less than 1°F per hour. 2. 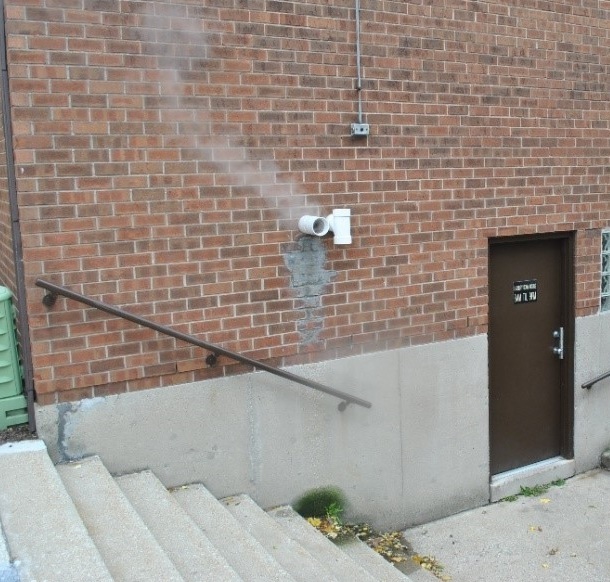 Properly vent the combustion exhaust: Boilers and direct-fired DHW water heaters must be direct vented. That is, both supply (combustion air) and exhaust vents shall be piped directly to the exterior from the combustion appliance. The exhaust vent must be located away from ventilation intakes, operable windows, etc. 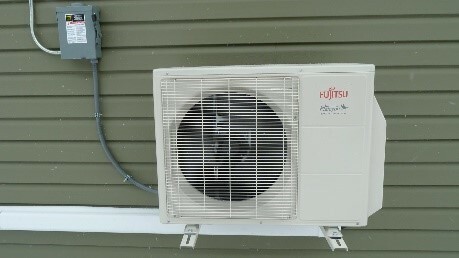 Refer to the International Mechanical Code (IMC) or the manufacturer’s installation instructions. 2. Distribution Layout: shorter recirculating loops are preferred since they reduce the amount of heat able to escape though the pipe length. In large buildings with multiple wings, separate recirculation loops should be used for each wing. DHW circulation systems shall be provided with a pump or pumps. The pumps shall have appropriate controls. Pumps: Use premium efficiency recirculation pump(s). The recirculation pump will have significant run time and should, therefore be a premium efficiency pump. It is not necessary to use a variable frequency drive on the recirculation pump as it will be operated as on/off. 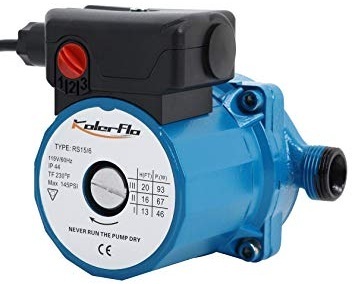 The pump should be sized for high flow rate. The pump selection must also take into account the frequent stop-start operation of modern, code-compliant recirculation control. Controls: Controls for DHW circulation system pumps shall start the pump on demand for hot water within the connected fixtures (i.e., a flow switch is required).The controls shall also automatically turn off the pump when the water in the circulation loop is at the desired temperature and when there is no demand for hot water. The temperature sensor for the recirculation loop shall be located as close to the furthest fixture as practical. This may necessitate an access panel located in an apartment.